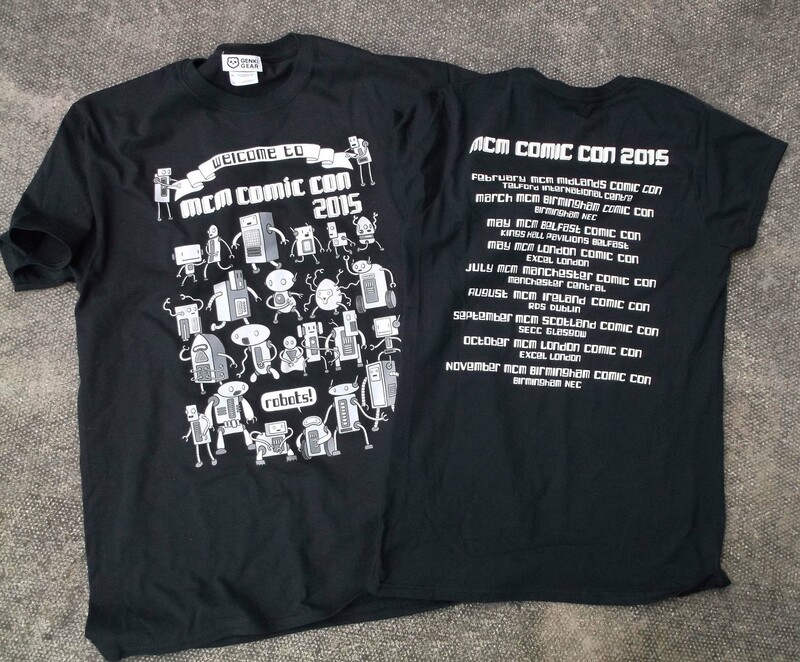 Genki Gear Launches Exclusive MCM Comic Con 2015 Tour T-Shirt! We’re looking forward to the 2015 comic convention season and to kick things off our lovely friends at Genki Gear have launched their exclusive MCM Comic Con tour T-shirt for 2015! Celebrating the joy of robots, Genki’s limited edition design sports an selection of adorable androids on the front, while all of the show dates of this year’s MCM Comic Cons are printed on the back. Check them out below! Priced £16.99 and made in both men’s and women’s sizes, the tour T-shirts are available exclusively from mcmexpostore.com, at GenkiGear.com and from Genki Gear’s convention stands – starting with the MCM Birmingham Comic Con on 21-22 March. Order now to collect your MCM tour T-shirt direct from the Genki Gear stall or to have it posted to you. Visit www.genkigear.com to check out their full range of awesome clothing!